The sign of Aries is known as the “pioneer” of the Western Zodiac. Courageous and optimistic, Aries have a love for adventure and are quick to take risks when they encounter them. This sometimes works out in their favor and sometimes does not, but Aries aren’t as interested in outcomes as much as they crave exciting new experiences. There is a rebellious streak in all Aries that drives many of their actions. Yet, the dynamic and quick-witted Aries has little trouble handling the dangers that come with being a rebel. Aries are famous for their impatience as well, and nearly all of their “negative” traits seem to stem from this. They lose their tempers almost as quickly as they lose interest in whatever task they are supposed to be doing at the moment. Aries is also known as the “baby” of the Western Zodiac for multiple reasons. Aside from the fact that Aries is the first sign of the Western Zodiac, members of this sign also share a reputation for being spoiled and self-involved. However, despite the fact that Aries might behave childishly at times, this is also a very generous and enthusiastic sign who can lift the spirits and even the willpower of those around them. 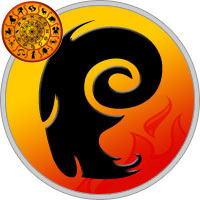 Aries often have a great sense of humor and love to come up with a witty retort or tell a great story. Combined Astrology is the merging of the 12 signs of the Western zodiac with the 12 animal signs of the Chinese zodiac. I find it a very interesting and accurate form of Astrology and it is perhaps the type that I know the best. Most people are always fascinated when they read their combined sign for the first time. It really does help define who you are, questions that you may have had about yourself that your normal astrological sign hadn’t been able to answer completely can normally be answered using this method. Almost everyone knows there western sign, Aries, Taurus, Gemini etc but not everyone knows about there Chinese sign. Unlike the western signs, which are taken from the date of your birth, Chinese astrology is more concerned with the year of your birth and each sign begins on the Chinese New Year. There are 12 animals, The Rat, Ox, Tiger, Rabbit, Dragon, Tiger, Snake, Horse, Goat, Monkey, Rooster, Dog and Pig. Each sign comes around every 12 years, for example I was born in 1978 which was the year of the Horse. The next Horse year after that was in 1990, 12 years later. The 12 signs of the Chinese Zodiac affect Aries in different ways. The following analyses show the difference between different kinds of Aries.